Mixed reactions to the first part of BBC2’s new documentary series The Cruise: A Life At Sea, which made its debut last night. Fred Olsen fans have been quick to express their opinions this morning, and many of them are far from favourable. I had not been expecting anything outrageous from the six-part series; the production team had earlier worked on gentle observational programmes such as An Island Parish, and were planning to focus on the activities of Balmoral’s chaplain, the Rev Colin Still. Some viewers seem to think this gave the impression everyone on a Fred Olsen cruise is obsessed with religion – which is far from the truth. Others expressed doubts that the series would do much to encourage newcomers to sample a cruise, and many were adamant that their own experiences on board were much different from those on the programme. The post reads: “It is important to note that the focus of the The Cruise: A Life At Sea’ series is the Chaplain. 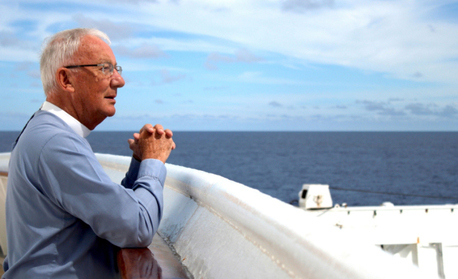 The series was commissioned by the BBC’s Religion and Ethics Department, under the premise of taking its hugely popular Island Parish series to sea, and as such ‘The Cruise: A Life At Sea’ is about the Chaplain’s life on board, who he comes to meet and the activities that he undertakes in the course of his travels. “The series is therefore a gentle, warm-hearted view of life on board and is not a promotional broadcast for Fred. Olsen Cruise Lines, nor the ship nor its guests and crew (the BBC could possibly have been clearer about this in its promotion of the series). [the BBC] chooses to film, and so the film crew on board Balmoral picked out the stories that they felt strong enough to appear in the series. Kenny Barr added: “Fred must be careful not to have his product stereotyped as a churchy themed organisation. That is far from the truth, as I thought the spiritual content of the cruise I was on hit exactly the right note. It was very nostalgic to see Balmoral again. It did make me want to book up right away, but that’s because I know the real Balmoral. Careful Fred, this could back fire. Last word – for now – to Veronica Kettle: “A load of rubbish. Nothing like the cruises we have had with Fred. We have been on 15 cruises on all ships and it’s nothing like this. If you didn’t see the programme, you can catch up with it on the BBC iPlayer. Did you watch the programme? 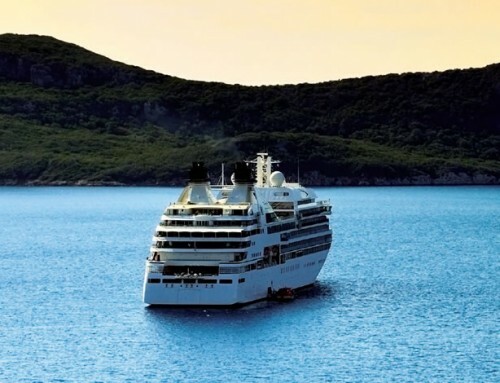 Are you a regular cruise passenger? What did you think of the show? Add your comments below. I really enjoyed the first episode of The Cruise on BBC2. Having worked as a bar/wine steward for both P&O Cruises and Cunard, it brought back happy memories, and made me envious of the crew working on there, the fun we had and the wonderful places you get to see!! I have now qualified as a nurse, but would like to go back and work deep sea when I retire, even if it’s unpaid. You’ll never take the wonderlust out of me!! Happy cruising! I’m about to retire after working 40 years and have been considering a cruise as a reward. After watching last night, I think it would have been a disaster for me. I didn’t like one person on the boat. Most were old and cantankerous. People dying. Illnesses with diabetes. Death and illness at sea and singing out of tune. At least the vicar could give you a burial at sea. I bet the Fred Olsen would like the BBC to bury the show. It Was a terreble show , so depressing , if this is what cruising is all about forget it . it was a bit like waiting for God without the laughs . BBC please do not give us any more of this religious drivel .